First Blood Indonesia is a First Person Shooter (FPS) game with graphics that almost resemble FPS games like Counter Strike and Under Fire with the slogan "The lightest FPS game in the world". 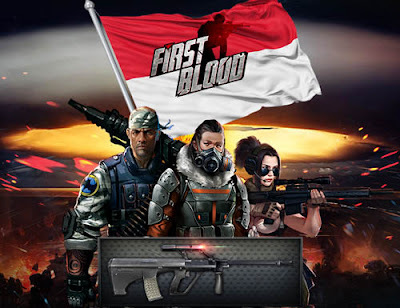 Cheat First Blood Indonesia which we release has a feature to facilitate the player in playing the game either with friends cafe, mahoan or opponent friend. By using this cheat you will be given various any cool features that can be used. This cheat is already tested on Windows 7, Windows 8, and Windows 10. Your laptop or PC must have Dot Net minimum 3.5 version installed to be able to run this cheat. In addition to the Cheat running smoothly, please download Jamu on links that have been given and run every time will use this Cheat. If you experience DC after using the cheat please clear the cache internet explore. Always use a second account first to make sure the cheat is safe. Turn off antivirus first before opening the cheat.Your account is banned? Please read the details here.